Will two years of hurt finally be over? Germany hopes to avoid an unwanted hat-trick of last place finishes with their revamped national final Unser Song 2017. After four rounds that unfolded on live TV in a single night, we now know who has been put up to the task. Levina will sing “Perfect Life” at Eurovision 2017 in Kyiv. Hosted by Barbara Schöneberger, the finalists consisted of Axel Feige, Felicia Lu Kürbiß, Helene Nissen, Levina and Yosefin Buohler. But it was Levina who managed to slay the pack — so much so that the final round actually came down to her singing against herself. Yes, originally meant to be a round of singer vs. singer singing either the same song or a rival one, her performances of “Wildfire” and “Perfect Life” finished first and second in Round 3 — resulting in a super-final featuring only her and two songs. Ultimately the public chose the latter (despite the presumption, at least among us, that “Wildfire” had won the day). An expert panel of Eurovision 2010 winner Lena Meyer-Landrut, singer-songwriter Tim Bendzko and television presenter Florian Silbereisen commented on all the performances. 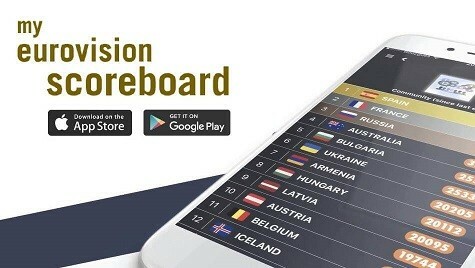 Fans outside Germany also had their say on the night using Germany’s Eurovision Vibes app, but the final decision was down to the televoters across Germany. The first round saw the five finalists cover a song of their choice. Helene opened the show with her rendition of Johnny Cash’s “Folsom Prison Blues”, followed by Yosefin’s performance of Beyoncé’s “Love On Top”. Felicia covered Robyn’s “Dancing On My Own”, Axel performed his rendition of Chris Cornell’s “You Know My Name” and Levina tackled Adele’s “When We Were Young”. Two acts were eliminated after this round. The three remaining finalists all performed their versions of “Wildfire”, one of two potential Eurovision songs. It was written by the American, Norwegian, and British songwriting team of Tofer Brown, Marit Larsen and Greg Holden. Another act was eliminated at this stage. Then there were two. The two remaining finalists performed the other potential Eurovision song “Perfect Life”. The song was composed by the American songwriting team of Lindsey Ray, Lindy Robbins and Dave Bassett. The two combinations of singer and song with the highest number of votes advanced to the fourth and final round. Going into the televoting, the European public didn’t give Germany much insight into who should win. In fact, the Eurovision Vibes voting was split 50-50. In the end — after Levina sang her renditions of “Perfect Life” and “Wildfire” — the public voted and they had a clear winner, choosing “Perfect Life” with 69% of the vote. Are you happy? Can Germany avoid finishing bottom of the table again? Let us know in the comments section below! Felicia Lu + Wildfire would be far away better…. Nobody will never know if Levina likes the song it was chosen for her. In case she hates it, she will never tell (at least OG3NE can decide themselves what they will sing). The mediocre ”Perfect Life” is already in the final, and better songs will stay in the semifinal, just because Big 5. I actually really like the German selection process, but the songs they provided were both pretty bad. I assume that this was so that the songs could be easily interpreted in a variety of styles, but the songs still could’ve been way better. Levina is a great performer, but I won’t be surprised if Germany pulls off the hat trick. I unfortunately won’t be half as sympathetic as I was for Jamie-Lee Kriewitz, though. The best result from this would have been for Felicia to have provided a decent cover and win with “Wildfire,” but that obviously didn’t happen. The fact that Germany is one of the Big 5 does not mean they can send horrendous entries. They may pay but dont deserve to be in the final at all. Even the UK has a decent song this year. I’m so fed up with Big 5 in general. @Tobias Gemini Everybody seems to expect a Lena…and yes I like the song, hoping for a little more edges but overall a good decent song to work with. The hate is over the top. Levina was clearly better vocally and on stage. However, the song is not that good. For me, it’s probably bottom 5 this year for Germany. It deserves the criticism because it was the worst national selection, and if Levina would be in semifinal, do you think that in million years would qualify? Is your country making fun of ESC? The amount of hate is completely out of touch with the reality. Sure it’s not an innovative song whatsoever but it clearly isn’t the worst we have so far. Don’t want to draw the “Everyone just hates on Germany”-card but …. this is just pretty damn over the top. Calling her ugly and stuff like that … crazy. Things like that completely destroy the ESC for me. Yes you can have and voice your own opinion but ever heard of respect before? Jesus Christ. Some people have no decency whatsoever. She have more than him . If we look at yesterday harisma on stage for me only Helene have. Axel when sang 3 song have same look andhe look on stage like he sing You raise me up on some funeral. Don’t worry, Levina is the next Rykka, charisma ”realness”. Even if Levina will win everything and will take ESC to Germany, their selection process is still wrong and has to change. Axel lost only because he don t have any charisma on stage. @ Josh – that, and “I’m nearly a sinner, almost a saint”. Can you believe that this song was written by a Grammy-awarded songwriter? Because I can’t. @ Darren – yeah, because Sweden and Germany are the only countries capable of hosting the Eurovision. Almost all the countries in the competition would host without any problems. I’m convinced that Armenia has been saving tons of money to spend for the contest, given the fact that they’ve been trying so hard to win. @ AurelianTamisan – you’re just being delusional there, this song doesn’t stand a chance. It’s not good for Levina’s vocals, it’s badly produced, badly written, and everyone will think of Titanium from the first notes. I’m feeling sorry for Levina. She was completely stripped from her artistic personality (just listen to her independent releases) and given two bad songs to sing. I can’t see anyone voting for this mess… just send a brand new song that will suit Levina’s style. You forgot Brendan Murray so it’s like 3 out of 7. Still not really female dominated as such. I think Levina looks like Rykka, and that is good because both are beautiful, but I’m afraid that Levina also dances like Rykka and somebody must tell her that is not a good idea. Good luck for her, anything can happen ! I agree between this 8 chosen song there is no winner of Eurovision 2017. Only Finland have chance to be in TOP 10. I think fight for win will be between Sweden,Australia, maybe Italy (ih they chose good winner of San Remo Elodie,Alesio),Russia. Dark horses maybe Armenia (with good song) and Greece (with good song, Danny for me is not good singer, and I hope that she wili get better song than Greece song from 2005,2008,2012 , with this king of song Greece don t have chance to win , because we have juries. We still do not have a winner of ESC 2017 after the almost 10 acts which have been revealed!! Another very weird situation is that we only 2 in 12-13 acts have a male singer (Hovig from Cyprus and Nathan from Austria), correct me if I’m wrong! 9/10 female singers are….too much! I expect this percentage to become more balanced as the time passes. For me from Big 5, Germany have better song than UK and France. Well , not bad but not good! (J)ESC Fanatic – You said it yourself. It’s not bad, but might be so forgettable it ends-up last (again!). It’s definitely the most ‘meh’ song chosen thus far and the selection process is horrible. Levina certainly seemed to want it more, Axel looked rather lackluster on stage. But he had a way better voice. Germany; go back to 2013 format. However crap the radio vote, replace the jury with an international jury… Basically just become Melodifestivalen. I see that people refuse to get what Eurovision is about. So the shock will be pretty big for the most people when Germany will finish pretty high this year. I don’t get all the negative comments, the song is really good and I really have the feeling that it will be very appreciated in Kyiv, especially when we see that it has a different style than the most entries expected to be. @Thomas: Technically speaking in the Grand Final, I don’t think any country has ever finished in last place on its own in consecutive years. (Please correct me if that’s wrong.) In 2015, I seem to recall that Austria shared Germany’s pain at being last, so on a technicality that was not a true “last place” finish. Norway of course is infamous for finishing last 11 times, but it never happened in consecutive years. I just listened to the song (for the first time); and sad to say, I don’t think Germany will break out of the bottom 6; and if it gets nul points on both sides (jury and televote), it’ll be unprecedented. Part of it reminds me of Nicky Byrne’s “Sunlight”, and we know what happened to him last year. …or maybe Fahrenhaidt, Oonagh or Faun. I doubt they had anything to lose by signing up for this..
Not only is Germany seemingly trying for a record-breaking last place for the third time in a row, they’re also hoping to create the most complicated and completely useless national final ever thought up. Why not just go for the traditional method of opening song submissions and approaching record labels?? I can’t even call this song a hot mess, lisening to this song is an experience akin to watching a trainwreck developing in very slow motion. David Guetta and Sia want their ideas back… come ON, songwriters! It’s even in the same key as Titanium. This isn’t very original. Does anyone know the record for last places in a row? Germany may be shooting for that one. Not only the fact Axel was better, but the song is awful. Who the hell wrote that song and thought “This will save us from last place”? It is utterly horrible… And I thought no country could do worse than the UK, apparently I was wrong. Here’s Germany’s third attempt to get last place again… 🙁 . The songs could’ve been composed better, and the lyrics are really cliché. I think the order of how the show was planned was unnecessary, and they could’ve just gone with a final only (though where’s the fun in that), and all the artists could’ve had their own song made (like any other national selection) instead of those two pieces of trash. “Perfect Life” is a horrible song. Nobody could save it. “Wildfire” was better but I don’t know if it would improve Germany’s potential position much. Levina is ok but definitely looked more comfortable singing “Wildfire”. Germany Vs. Uk for last place again? Just as it should be!